Anyone can price a property so that it sells fast, it's another thing doing it so that the homeowner feels that they are getting their money's worth out of the property. Here is the best way to price a property to sell. There are several ways to find comparable properties. You want to look for active listings, those homes that are currently on the market as well as pending properties, those that already have an accepted offer, and sold properties. It's a good idea to get at least 3 to 5 properties in all three of these brackets. This will give you a good baseline as to what is currently listed and what is sold. Most pending properties will not show what offer was accepted so we may not know what the home is actually going to sell for at this point, but it's a good idea to know what properties actually with pending so you know what homes are attractive to potential buyers. You want to find comparable properties that match the lowest price on the list and the highest price on the list. This will give you the range in which you are willing to list the property. You also want to pick a goal that you feel is appropriate and price that you won't go below. You need to find out how much you need from the sale of the property in order to cover any first or second mortgages and potentially a down payment on another house. #3. Will the property appraise for the set amount? You can list a property at whatever price you want and buyers can choose to pay that amount, but if they are getting a loan, the lender will determine whether or not the home is worth as much as the buyer is offering. If the lender does not feel that the home will appraise for the amount offered, the buyer either needs to come up with the difference or the seller needs to lower their price. Coming up with this price doesn't necessarily mean setting the bar too high. Many homeowners feel that they can list their home at a higher price and simply drop the price if they don't get an offer. 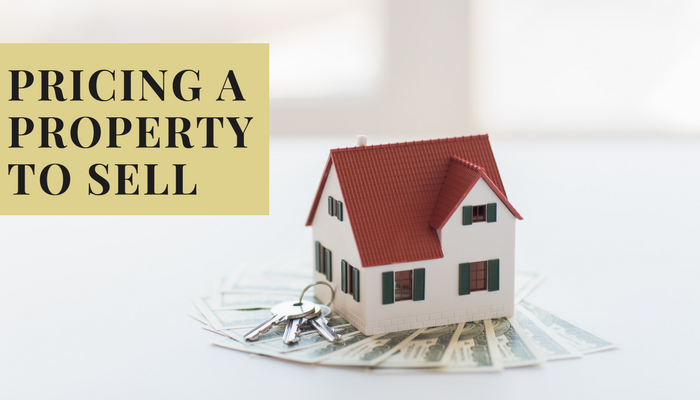 This has several pitfalls, however, in that by the time the home is priced appropriately, it is become still on the market in many buyers simply stay away. Read More: When should you reduce the price? It truly is an art to pricing your home correctly but with these proven steps, we can price your home correctly from the beginning and get the right offer on the table quickly. Give us a call to find out how much your Portland area or Vancouver home could be worth.